Interlomas, Lomas Chapultepec, Polanco, San Angel, San Jeronimo, Santa Fe, Tecamachalco). 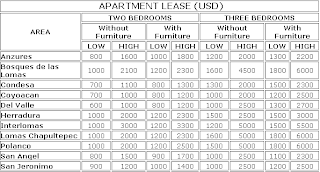 The low and high prices are laid out for a two or three bedroom apartment/house with or without furniture. 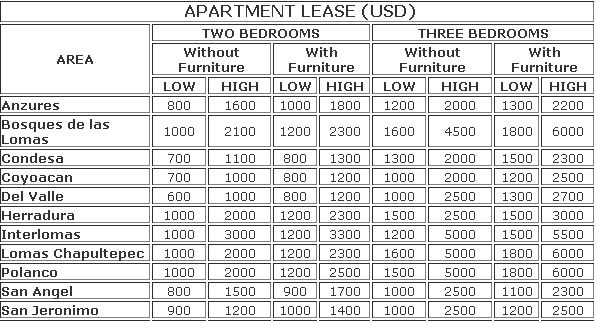 This is a wonderful way to see average cost of living in Mexico City.